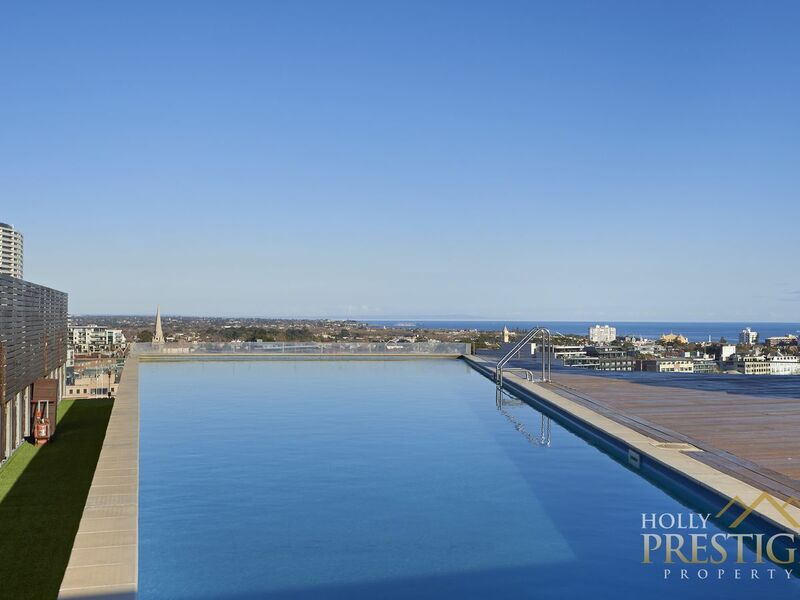 Panoramic views form an enticing backdrop for this exclusive executive residence situated in the Mansion Apartments. 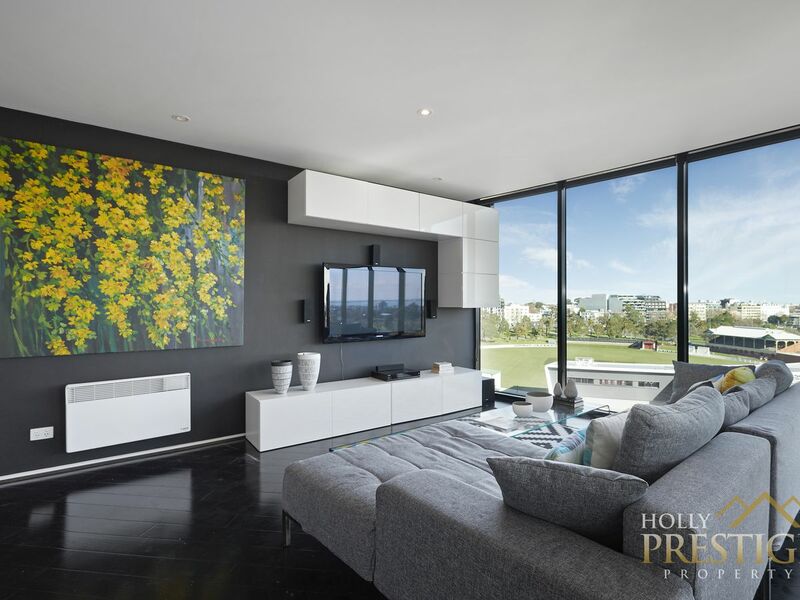 Stylishly presented to complement the spectacular vistas, designer finishes and quality European appliances have been utilised throughout. 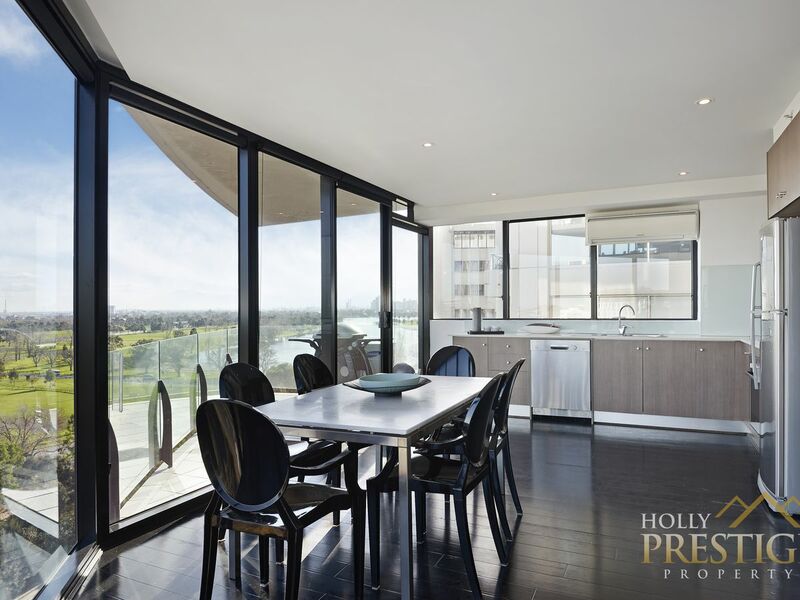 An elegant entrance gallery fans out invitingly to the expansive open plan living and dining zone flanked on all sides by floor to ceiling glazing highlighting the spectacular backdrop of Melbourne's best Bay and park views. 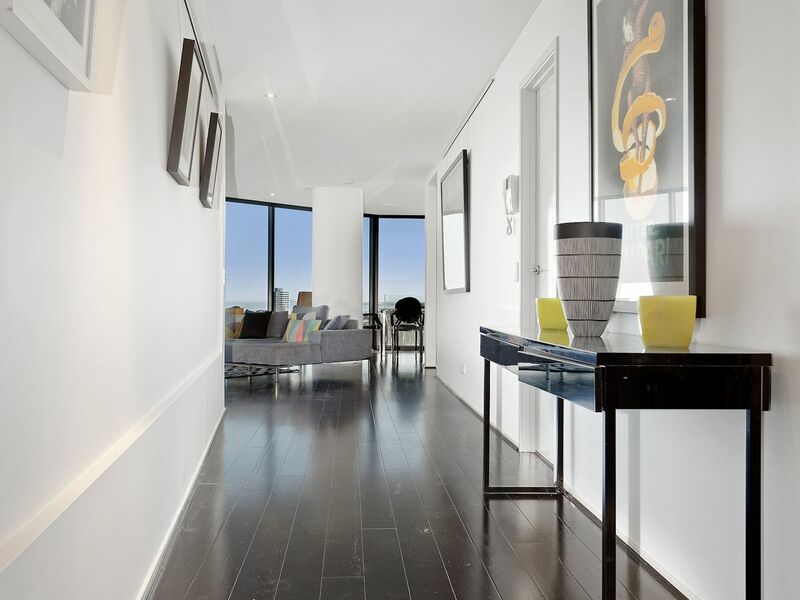 Freshly painted crisp white walls contrast dramatically with the dark bamboo floors. 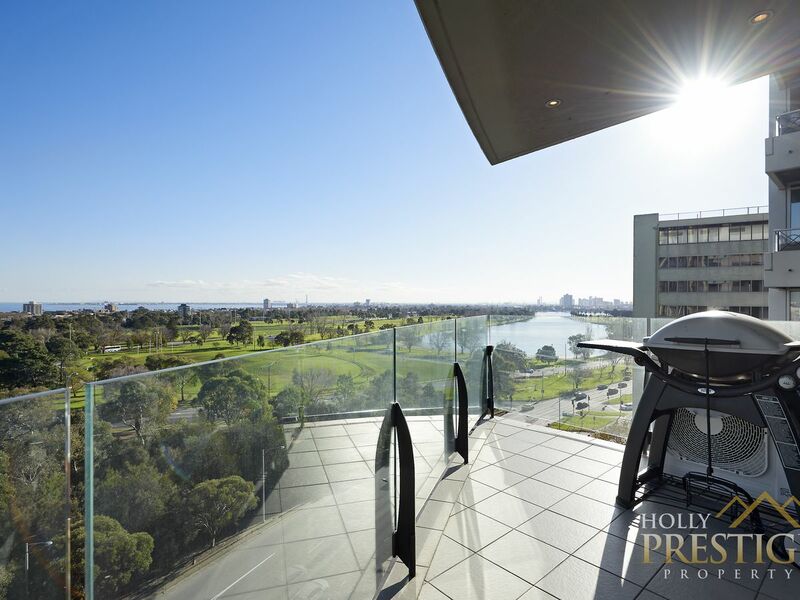 A glass balcony leads straight off the living zone where you can BBQ overlooking the Albert Park Lake with the city shimmering in the distance. 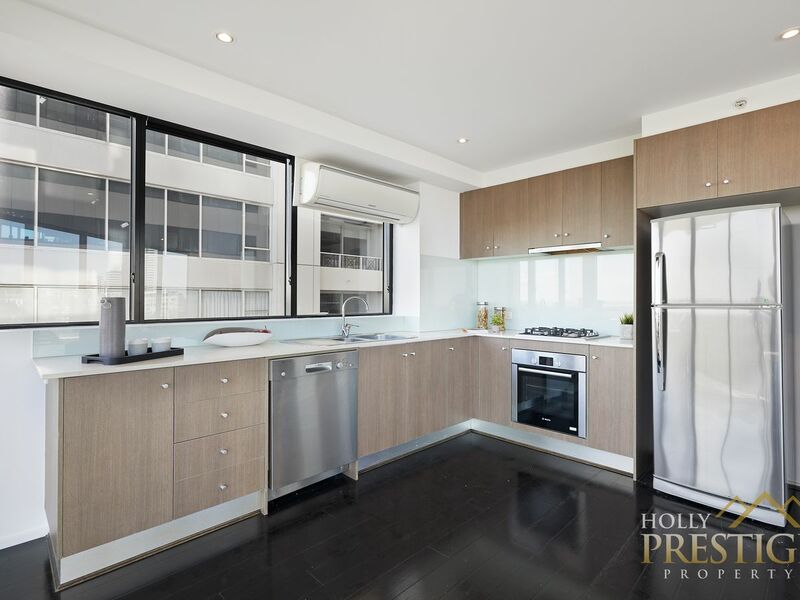 Tucked into the north corner and with Albert Park Lake views to inspire your culinary efforts, the streamlined kitchen has an abundance of storage, Caesarstone bench space and stainless steel Bosch appliances: dishwasher, gas cooktop, rangehood and electric under bench oven. 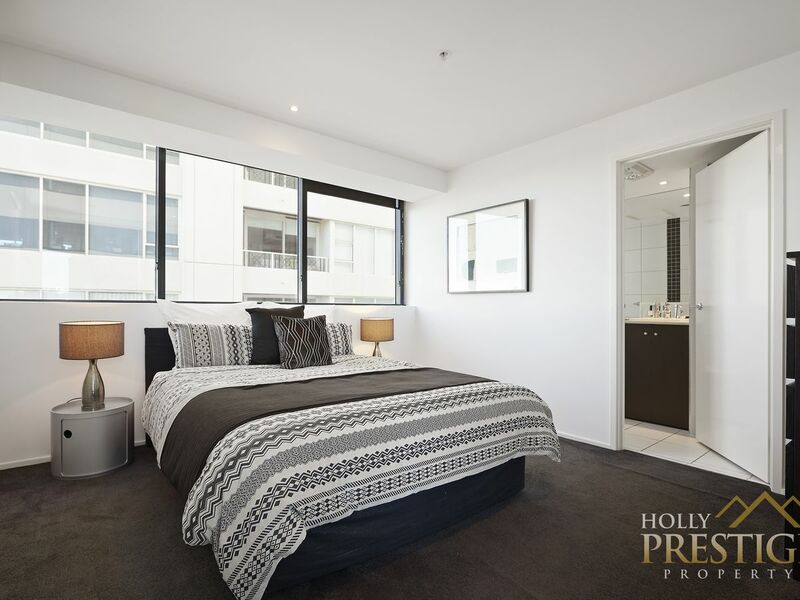 The accommodation includes a luxurious master suite with a spacious king sized bedroom, BIRS and a fully tiled ensuite bathroom with over-sized shower. 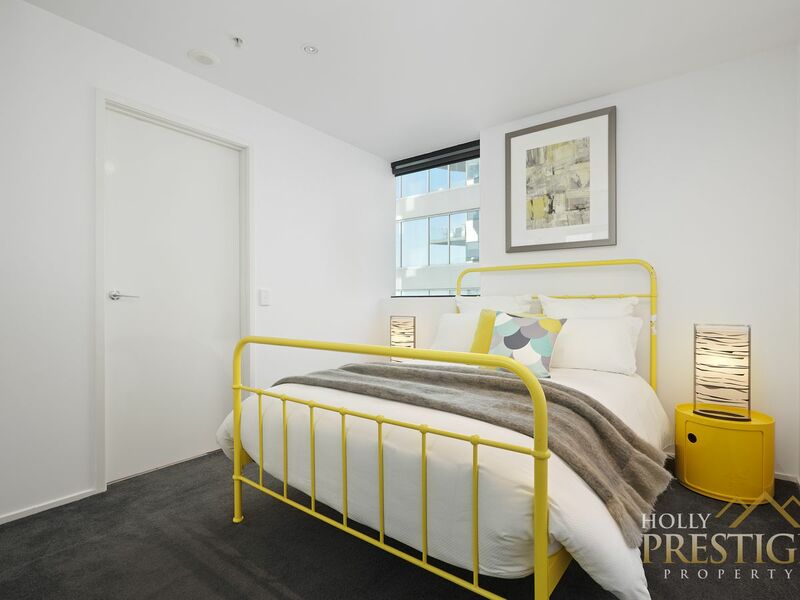 A second spacious bedroom also with BIRs, window and its own bathroom/laundry with dual access from the living area completes the picture. 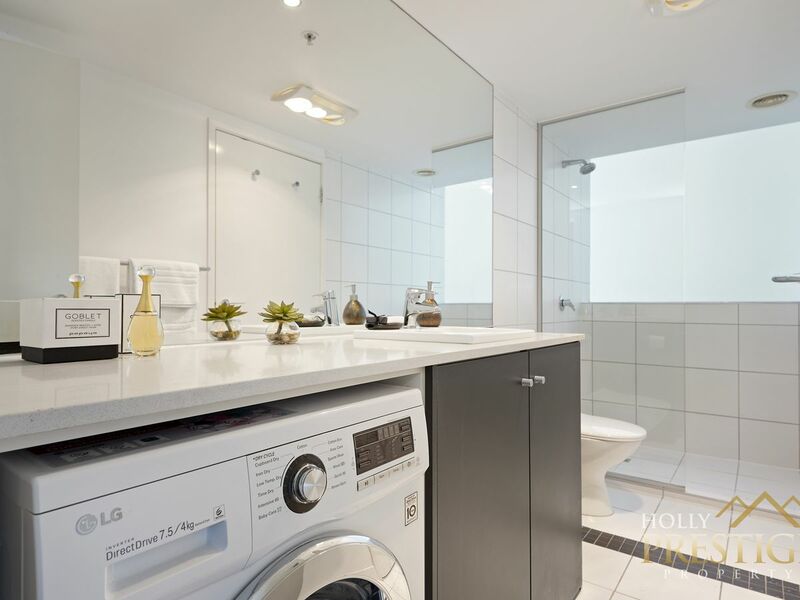 Other features include: quality window furnishings, split system heating/cooling as well as a secure basement car park on title. 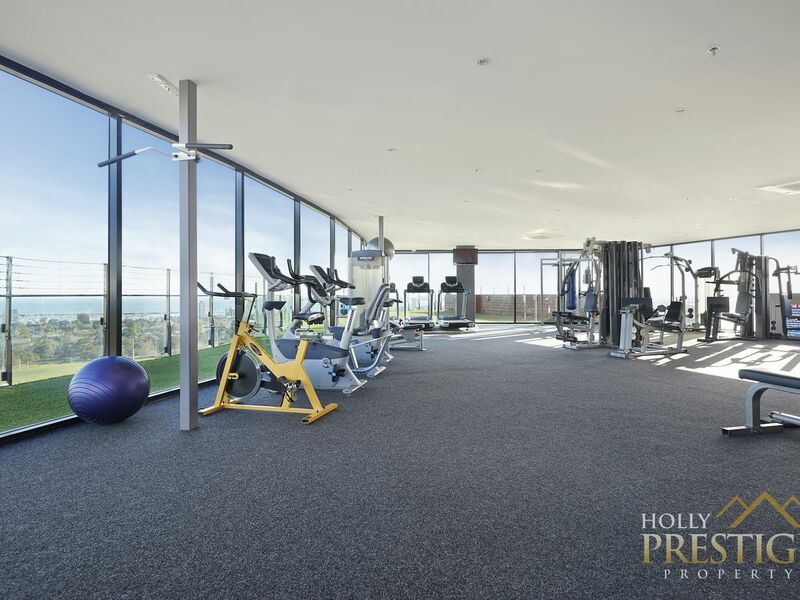 Resort style building facilities include a spectacular gas heated rooftop swimming pool with showers and bathroom facilities, fully fitted and enormous roof top gymnasium, on-site building manager, keyless entry and secure basement visitor parking for in excess of 20 cars. 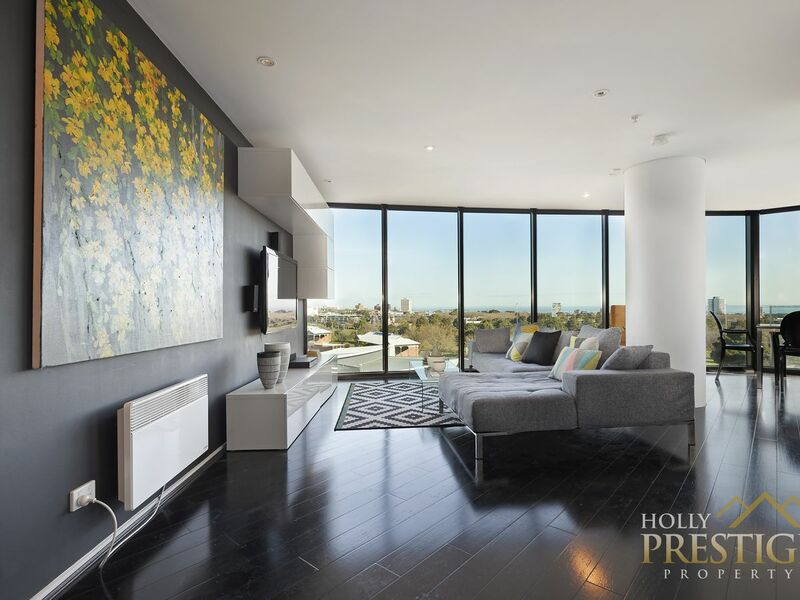 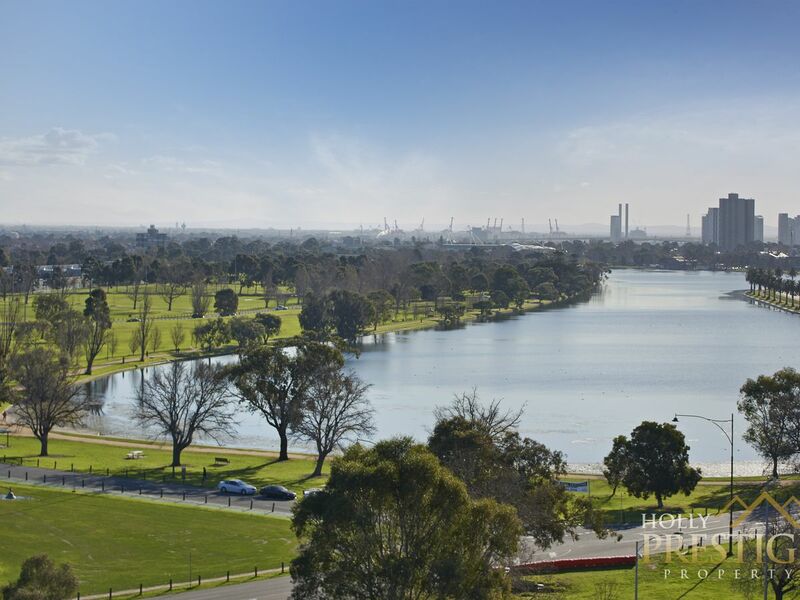 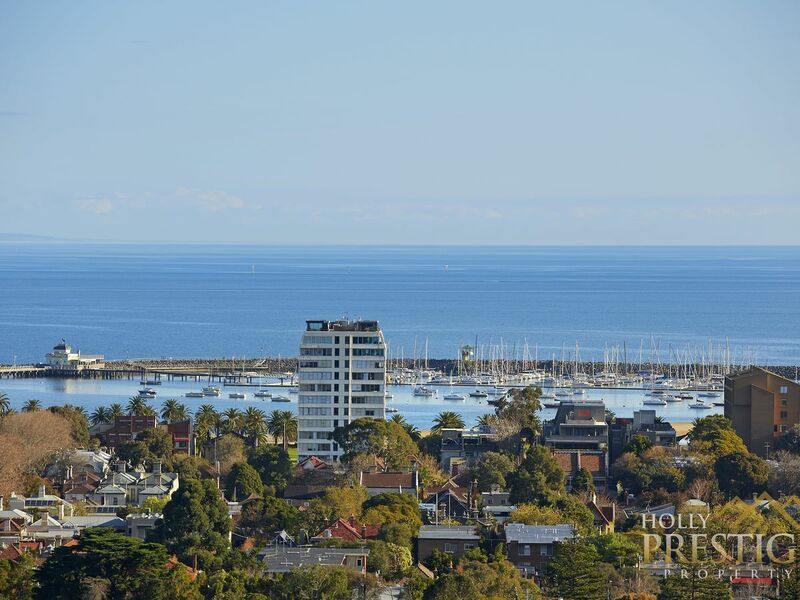 Enjoy all the benefits of this unbeatable location situated on the cusp of St Kilda, Albert Park, The Arts Precinct, Prahran, South Yarra and the CBD. 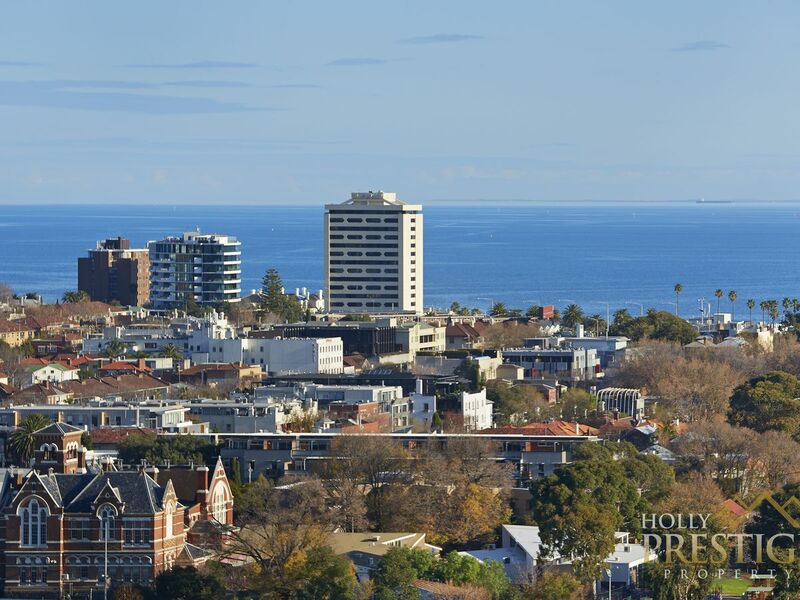 Currently vacant, the property has recently been leased at $875 per week and represents an excellent opportunity for both investors and owner occupiers. 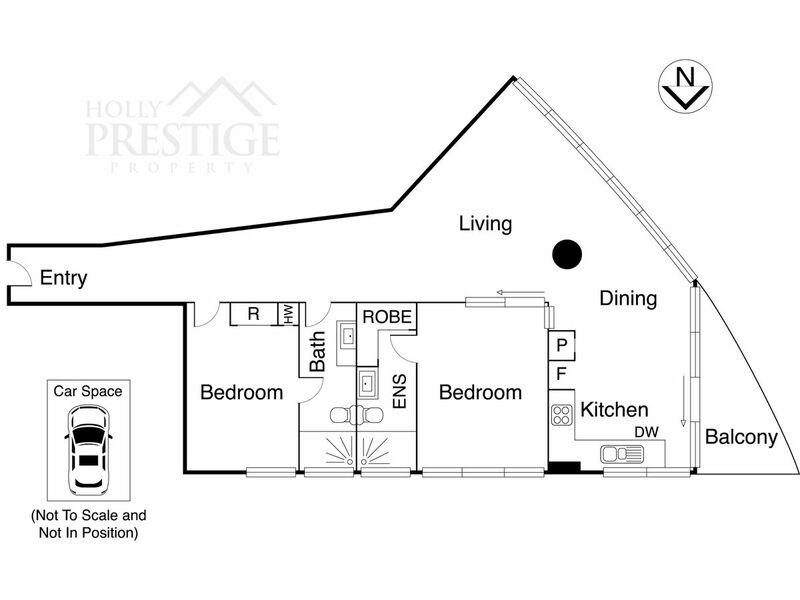 Inspect this very special offering as advertised or please call Susan on 0402 208 798 to book your private appointment. 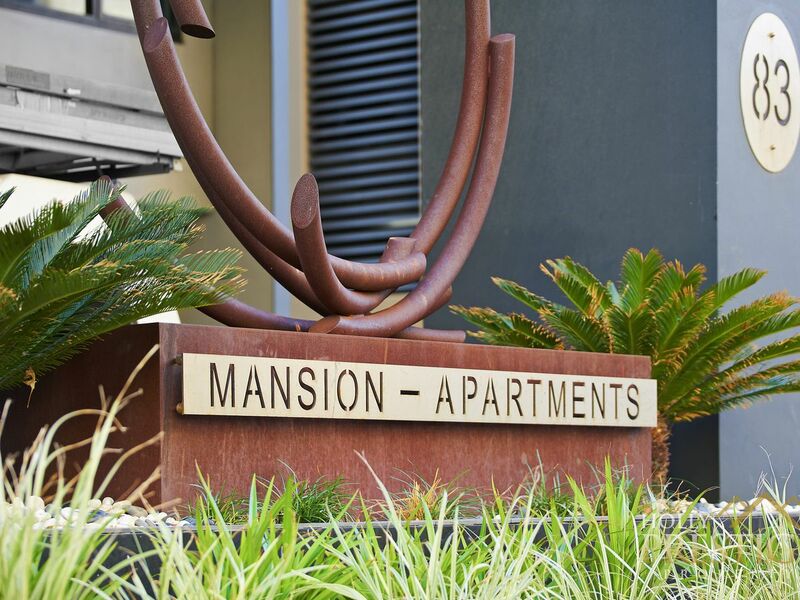 Please note entry is from Queens Lane - please park on Union Street or jump off tram at stop 29 Union Street.